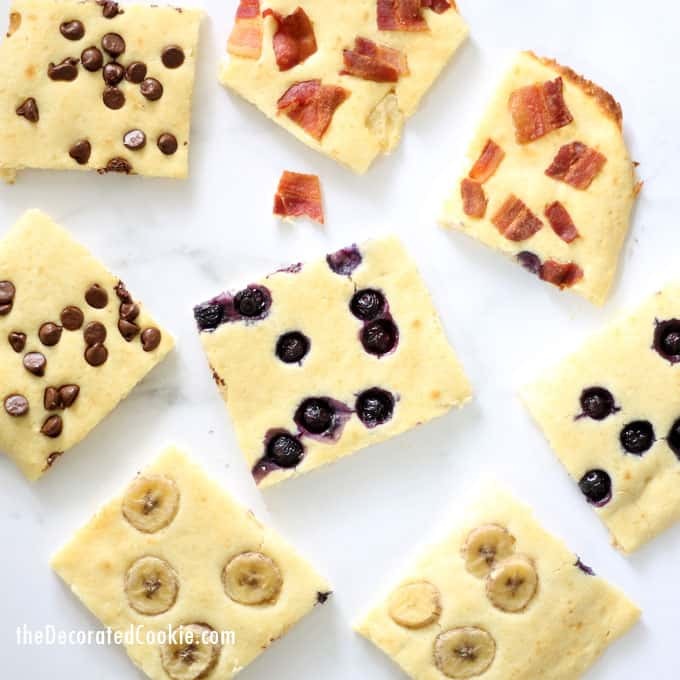 Easy breakfast idea: Make sheet pan pancakes with toppings. 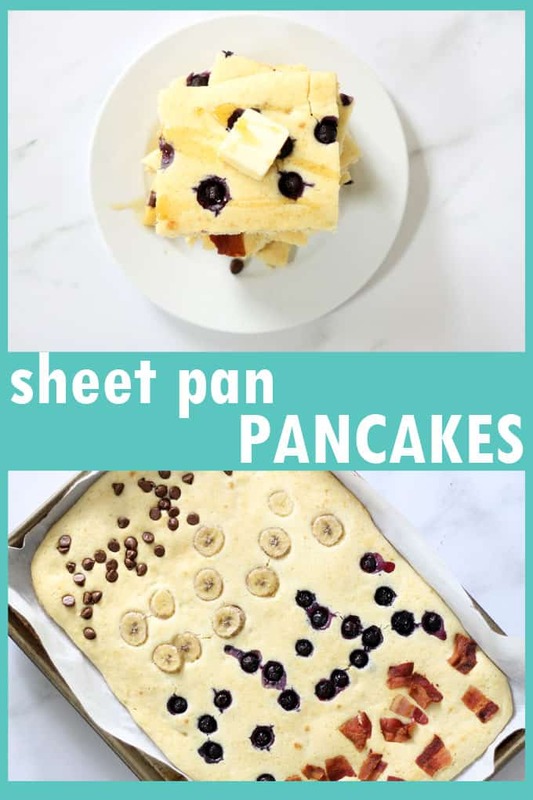 These sheet pan pancakes with toppings of your choice are the perfect way to make breakfast for a crowd. 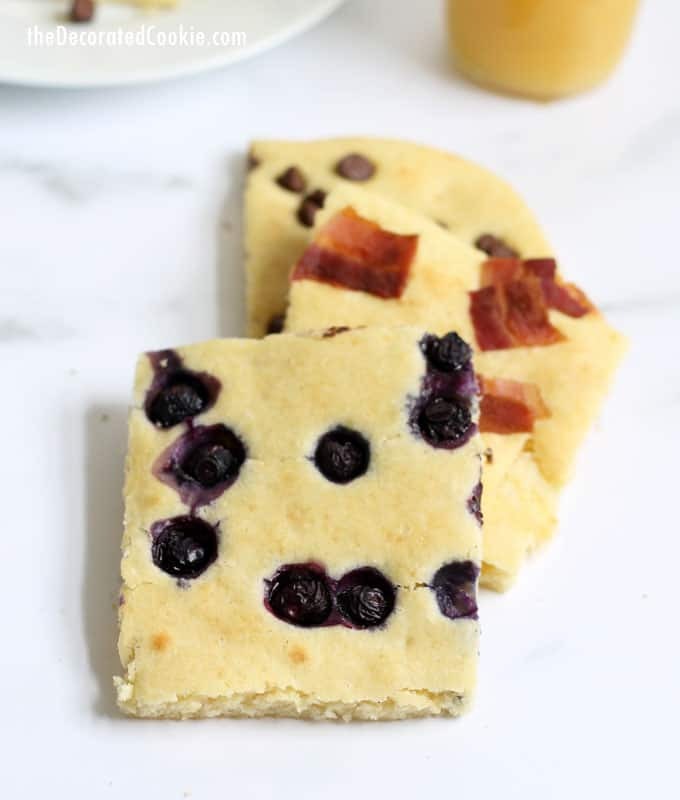 Or, make some in the beginning of the week, cut squares, and freeze them for easy weekday breakfasts. Why sheet pan pancakes? I spotted this idea in a magazine ages ago, and I’ve been wanting to try it ever since. (So, credit for the idea to either Better Homes and Gardens, Martha Stewart, or Real Simple, because those are the magazines I still get.) It worked even better than pancakes on a griddle! Pretty sure I’m always going to make them this way. 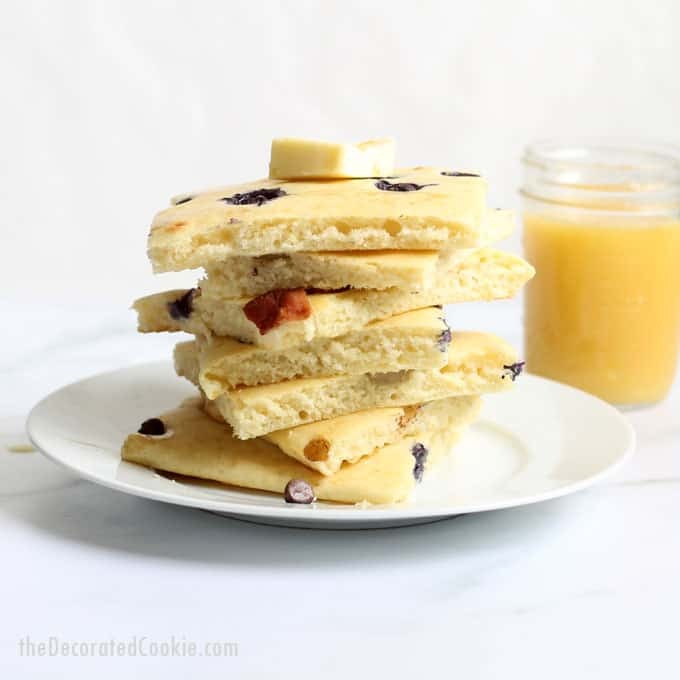 No worrying about flipping or waiting for the griddle to empty, you can make them all at once in minutes. My kids are fussy eaters, so they will likely nix the toppings idea, but this tray will be for me. 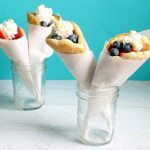 All you need to do is whip up some of your favorite pancake batter (I have my recipe below), sprinkle on some toppings of your choice, bake, slice, and eat with butter and syrup. Choose any of your favorite pancake batters. You’ll need about 2 1/2 cups of the batter. Need some topping ideas? Try cooked bacon or sausage, bananas, blueberries, strawberries, chocolate chips, coconut, nuts… I’m running out of ideas. 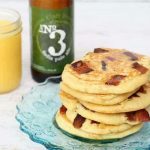 If you like sheet pan pancakes, you might love these beer and bacon pancakes, too! 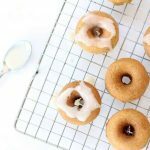 Or, try these easy pancake mix donuts. Preheat oven to 425 degrees F. Line a rimmed baking tray with parchment paper. Lightly spray the parchment paper with cooking spray. Spread the pancake batter evenly on the tray. 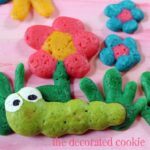 Sprinkle with toppings of your choice. Bake until cooked through and golden brown on top, 11 to 15 minutes. Slice, and serve with butter and syrup. May freeze the slices, too. Makes 12 big pancake slices. In a large bowl, whisk the dry ingredients. In a separate bowl, whisk together the milk, butter, and eggs. Add to the dry mixture and stir well. If the batter is too thick, you may add another tablespoon or two of milk. Use batter for regular pancakes or for sheet pan pancakes above. Any idea what size rimmed baking sheet? Hi Chrissy, It’s 18 inches by 12 inches. greatest pancake hack of all time! thank you for sharing.